Not feeling confident or miss out downloading the pre-beta version of upcoming Microsoft Office 2010 Technical Preview (TP) version 14.0.4006.1010 or 14.0.4006.1008? 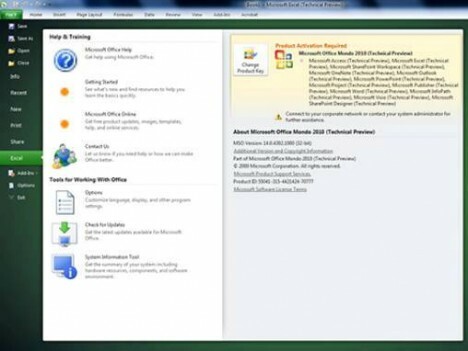 A new version of Office 2010 build which is said to be the first official beta (Beta 1) build of 2010 Microsoft Office Systems have leaked to Internet. The latest Office 2010 Beta1 has the build version of 14.0.4302.1000, and is compiled or signed off on July 8, 2009. Although it’s still been labeled as Technical Preview, it may be the build version of Office 2010 that goes out to registrants of Office 2010 Technical Preview Program (TPP), and is widely to be considered as Office 2010 Beta 1. 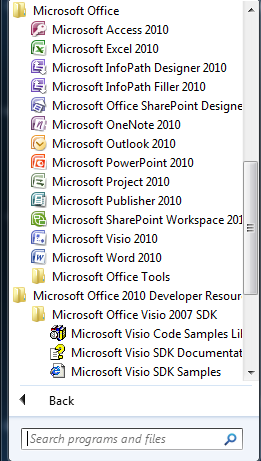 Interestingly, after installation, it shows the Office 2010 programs as Microsoft Office 2010 Mondo (Technical Preview). Both 32-bit (x86) and 64-bit (x64) setup installer of Microsoft Office 2010 Mondo version 14.0.4302.1000 is available for free download. The leaked Office 2010 is Office 2010 Ultimate edition. The torrent will download 14.0.4302.1000_Mondo_volume_ship_x86_en-us_wzt.rar and 14.0.4302.1000_Mondo_volume_ship_x64_en-us_wzt.rar via BitTorrent (BT) client. User who prefers to directly download the setup installer can use the HTTP download links below. Do take note that this build version of Office 2010 is still a pre-RTM, is a test version or even just an alpha build, and should not be used in production environment, as it may contains bugs.